Müller has announced the launch of three new yogurt products as it continues to grow the category through innovation and product development. 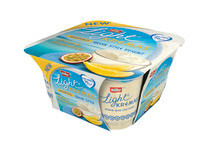 Following the success of Müller Bliss Corner and Müller Simply Bliss, a new multimedia campaign, including a new TV advert, will launch the creamy tasting Müllerlight Kremas - the dairy company’s first ever whipped Greek style yogurt that is fat free. The new TV advert will be shown in the UK from 17 April 2017 and in Ireland from 1 May 2017. Research from Müller found that whipped Greek style yogurt is growing and therefore represents an opportunity for Müller to build on a segment of the market which has significant potential for growth. 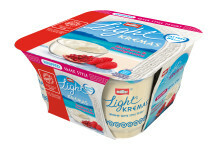 Müllerlight Kremas is available in three flavours: Strawberry, Raspberry & Pomegranate and Mango & Passionfruit. Consumers in Asda can now buy Müllerlight Kremas, with other selected retailers to follow in April and May. It is available in 100g single flavour four-packs and the RRP is £2.89. 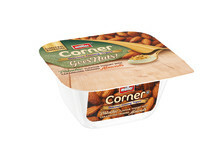 Consumers are also now able to purchase Müller Corner Goes Nuts. Tapping into the popularity of nuts in the UK market, this new flavour of Müller Corner features a pistachio flavour yogurt with real caramelised almond pieces on the side. 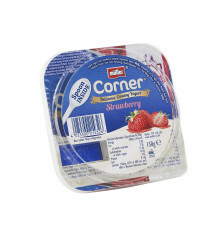 Müller Corner Goes Nuts is available in 135g singles and the RRP is £0.69. As of 22 May 2017, consumers can enjoy Müller Corner Müesli. The black packaging signals the indulgent nature of this SKU which has two flavours: Banana Chocolate Muesli and White Chocolate Berry Muesli. Following the success of the product in the German market, this is the first time Müller has launched a muesli SKU in the UK. 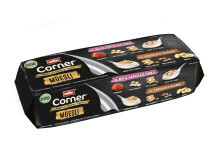 Müller Corner Müesli will be available in 6 x 135g packs and the RRP is £4.09. Müller UK & Ireland’s category vision identified a potential £700m of category growth by 2020, to be delivered by bringing excitement, innovation and game changing new products to the market. These latest innovations are the latest step to help achieve this growth. “The Müller Simply Bliss range has been an incredible success, winning Product of the Year in the 2017 yogurt category. Consumers have been asking us for a lower calorie and fat free version of this range, which contains the same unique whipped texture, deliciously creamy taste and has a range of exciting flavours. With Müllerlight Kremas we’ve achieved exactly that and we’re really excited to bring this into the market. “With Müllerlight Kremas, Müller Corner Goes Nuts and Müller Corner Müesli we’re breaking new ground, trying new flavours and tapping into some very significant segments of the markets where we see potential growth. By injecting some innovation, we feel there’s a great opportunity here to grow the category by capitalising on these existing shopper habits. 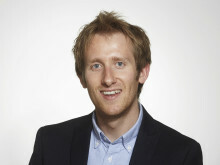 “We’re committed to developing a range which provides an option for every occasion. Whether it’s breakfast, lunch, snack or dessert, we’re making sure that there is a choice for everyone throughout the day. Across our brands, we offer everything from luxury and indulgence brands like Müller Corner and Müller Simply Bliss to healthier alternatives like Müllerlight and Müller Rice. 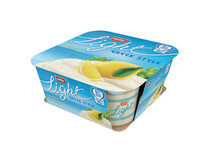 A national multimedia campaign has launched Müller Yogurt & Desserts’ reformulated Müllerlight Greek Style range. 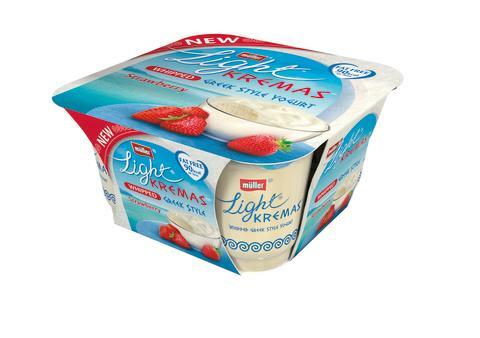 Müllerlight Kremas, the dairy company’s first ever whipped Greek style yogurt that is fat free, has been crowned Product of the Year 2018 in the yogurt category. Müller will invest £100m over the next three years to develop, manufacture and market a new generation of branded and private label yogurt and desserts products, made from milk produced by British farmers. 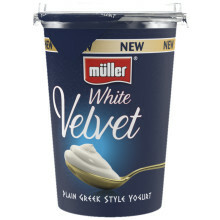 Müller has identified a taste barrier in the UK plain yogurt market and will solve it with Müller White Velvet. Müller is targeting front of store and on the go snacking by launching two yogurt SKUs with a spoon attached. 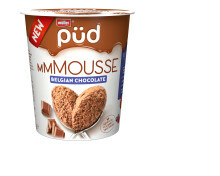 Müller is continuing to refine and energise its desserts offering with the launch of Müller Püd mmMousse.